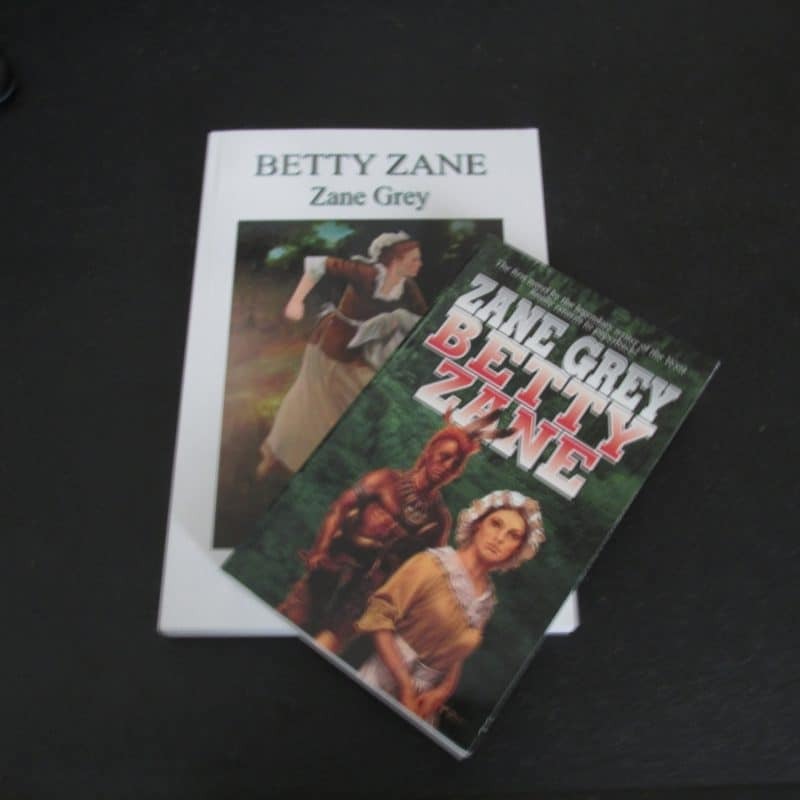 Home / Zane Grey / Who Was Betty Zane? One winter living in a bitter cold NY apartment, fingers freezing from lack of heat, head buzzing from the noise of nearby trains, Zane Grey wrote about a woman named Betty Zane. These were the days before the young dentist knew he would become the author of hunting books, baseball books, fishing books, and books for youngsters. These were the days before Pearl Zane Grey became known as “the father of the western novel”. Who was Betty Zane? Why was his first book about her? He wrote about her because she exemplified all that inspired him. Her story was adventurous, bold, and daring. Betty Zane was a woman of courage – a heroine of the Revolutionary War. Elizabeth “Betty” Zane McLaughlin Clark was born in July 1765, the daughter of William Andrew Zane and Nancy Ann Zane. To protect the new settlement from hostile Indians, Fort Henry was built in June 1774. In 1782 British forces, accompanied by American Indian allies, attacked Fort Henry. On the second day of the siege it was discovered there was no more gun powder in the fort. Betty volunteered to get the additional store of gun powder from a nearby cabin. Able to walk to the cabin because the Native and British forces where so dumbfounded, they ceased firing, she was not so lucky returning to the fort. They opened fire on her. Betty ran 60 yards up the hill to the fort returning, unharmed, to save the day. Her courage and bravery allowed those defending the fort to hold it. Her heroism is honored annually during the Betty Zane Pioneer Days. She was Zane Grey’s great, great aunt.